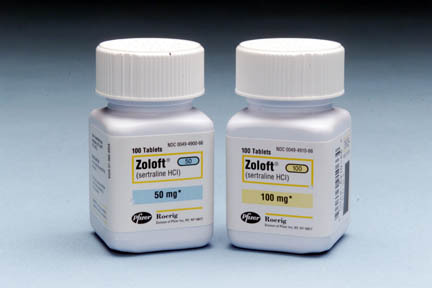 Most people are unaware of the fact that Zoloft and drugs like it are not particularly effective in the treatment of depression or other “mental disorders” for which they are approved and prescribed. Pfizer and the other drug manufacturers do not want consumers to be aware of this fact. The truth is, however, that in clinical trials, Zoloft often proved no more effective than placebo (an inert substance like a sugar pill). That is not to say the drug has no effect -- and thus, no side effects -- but that it lacks effectiveness in treating the condition for which it is prescribed (for instance, in depression). A recently published study, which analyzed the clinical trials submitted to the FDA to establish the drug’s efficacy, found that “the pharmacological effects of antidepressants are clinically negligible.” The Emperor’s New Drugs: An Analysis of Antidepressant Medication Data Submitted to the U.S. Food and Drug Administration by Irving Kirsch (University of Connecticut), Thomas J. Moore (The George Washington University School of Public Health and Health Services and Alan Scoboria and Sarah S. Nicholls (University of Connecticut). The Clinical Efficacy Trials subsection within the Clinical Pharmacology section not only describes the clinical trials providing evidence of citalopram’s antidepressant effects, but make mention of adequate and well controlled clinical studies that failed to do so. I am mindful, based on prior discussions of the issue, that the Office Director is inclined toward the view that the provision of such information is of no practical value to either the patient or prescriber. I disagree. I believe it is useful for the prescriber, patient, and 3rd-party payer to know, without having to gain access to official FDA review documents, that citalopram’s antidepressants (sic) effects were not detected in every controlled clinical trial intended to demonstrate those effects. I am aware that clinical studies often fail to document the efficacy of effective drugs, but I doubt that the public, or even the majority of the medical community, is aware of this fact. I am persuaded that they not only have a right to know but that they should know. Moreover, I believe that labeling that selectively describes positive studies and excludes mention of negative ones can be viewed as potentially “false and misleading” (Lever, 1998, p.11). “In the meantime, what are the alternatives for treating patients? Imagine having a choice between four treatments. Treatment A produces a large therapeutic response but also a large number of adverse effects, including diarrhea, nausea, anorexia, sweating, forgetfulness, bleeding, seizures, anxiety, mania, sleep disruption, and sexual dysfunction. Treatments B and C produce therapeutic responses that are almost as great as those produced by treatment A, but without the adverse effects. 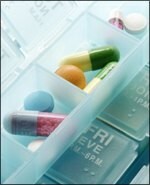 In fact, the side effects produced by Treatment B are beneficial (e.g., better general physical health). However, the therapeutic effects of Treatments B and C have been evaluated in relatively few studies. Treatment D has been assessed in many comparative studies, in which it has been found to be as effective as Treatment A in the short term and more effective in the long term. It does not produce adverse effects. Given a choice between these alternatives, which would you choose? Zoloft Side Effects Lawyer ©2002. All rights reserved.